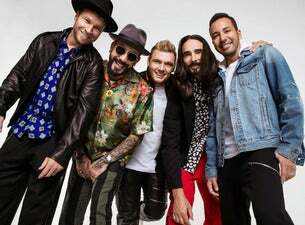 The Backstreet Boys have announced their biggest arena tour in 18 years, with four huge dates in the UK in 2019. The DNA World Tour comes to these shores next June with dates in Manchester, Glasgow, Birmingham and London. The pop quintet are set to release their highly anticipated new studio album DNA on 25 January 2019 which features tracks penned by the likes of Lauv, Shawn Mendes, Andy Grammar, Ryan Tedder and more. The Backstreet Boys' rise to fame was relatively quick. With the release of Backstreet and the single Quit Playing Games, they broke in to the charts both in Canada and the US. With seven platinum albums and their album Millennium selling over 1.3 million copies in its first week alone, they have not looked back since. In 2000, Black and Blue debuted at number one on Billboard's 200 albums chart, selling 1.6 million copies in its first week and establishing their status as pop icons.